CIPP rehabilitation is an effective way of restoring most types of potable water and drain lines in Chicago. However, the type of pipe material and the condition of that material must be known prior to installation so that proper preparation procedures can be followed. In order for the epoxy coating or pipe liner to properly adhere to the host pipe, the host pipe must be thoroughly cleaned. Over time, plumbing pipes become fouled due to debris, minerals in the water and the aging process of the pipe. If the debris is left inside the pipe, the liner or coating will not properly adhere to the host pipe walls, and the internal diameter of the pipe will not be restored. Properly preparing your pipes for the CIPP rehabilitation process involves determining which types of plumbing pipes are located within your Chicago building so that the proper cleaning methods can be used to prepare the host pipe for the epoxy liner or coating. Cast iron plumbing pipes are used for large drain and sewer lines. These pipes are designed to last between 75 and 100 years. Cast iron pipes have a tendency to develop scale, and they do rust. In order to properly clean cast iron and prepare it for the CIPP liner, it must be power washed and an abrasive material and/or rotating blades must be used to remove all the scale and any rust inside the pipe prior to the installation of the CIPP liner. Concrete plumbing pipes are used for large sewer systems and have an expected lifespan of between 75 and 100 years. They are not prone to developing corrosion, and the best way to clean them prior to installing an epoxy coating or liner is by using high-pressure water to remove all the debris and clean the walls of the pipe. If needed, abrasives can be used to further clean the walls of the pipe. Copper plumbing pipes are extremely common in residential and commercial buildings. They are used for distributing hot and cold water and have an expected lifespan that can exceed 50 years. 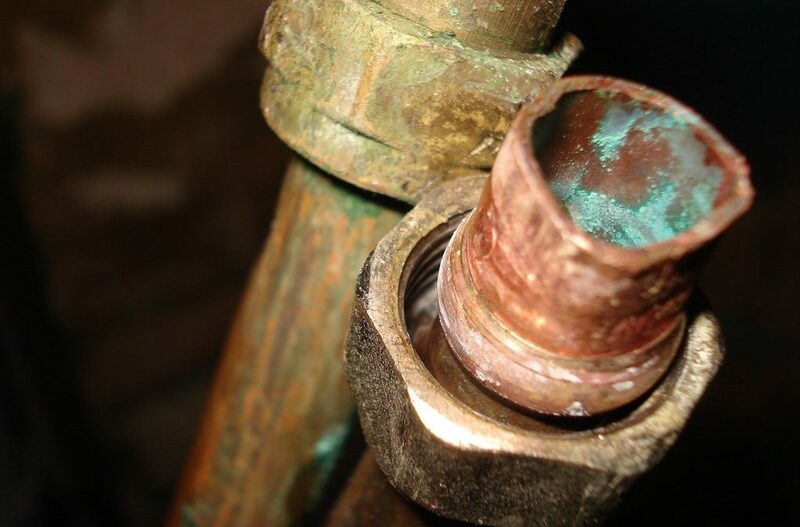 Copper pipes can develop corrosion and limescale due to acidic and hard water. These pipes should be cleaned with high-pressure water and an abrasive material to thoroughly scrub the pipe walls. Plastic plumbing pipes include PVC, CPVC, ABS and PEX. PVC, CPVC and ABS can be used for drain lines or potable water lines. PEX is typically used for hot and cold water distribution. These pipes can last indefinitely providing they were properly installed and are properly maintained. Plastic pipes are not prone to corrosion. 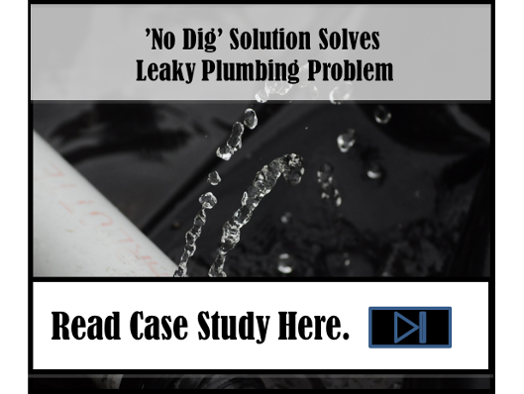 However, the drain lines can succumb to grease and debris buildup. Plastic pipes should be cleaned with a hydrojetter to remove debris, and an abrasive material should be blown through the pipes to help with adhesion of the liner. Our professional pipe lining technicians understand that the material used to manufacture your plumbing pipes and the condition of your plumbing pipes can affect the pipe restoration process. We use a pan and tilt camera to fully inspect the interior of every plumbing pipe that needs to be lined. This camera allows has a 360-degree rotation and provides up to 180 degrees of tilt, which allows us to determine the type of material and the condition of the pipe so that we can determine the best way to clean it. For most pipes, we generally choose to clean them with a propane-powered hydrojet, which uses pressurized water to remove clogs and debris and thoroughly clean your pipe walls. This is environmentally friendly and safe for most types of plumbing pipes. To learn more about our pipe restoration process and to see if CIPP rehabilitation would successfully rehabilitate your commercial or residential plumbing pipes, call us today at 815-790-9000.